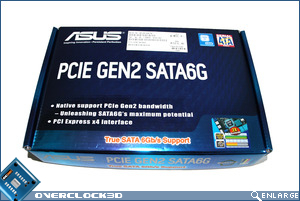 The appearance of the outer box is akin to the deluxe range of motherboards offered by Asus. 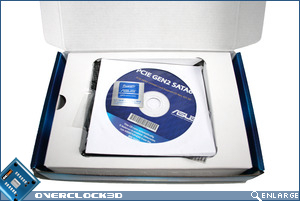 The outer skin has a blue chrome effect with the main title in white plastered across the front of the box along with a very basic specification underneath. 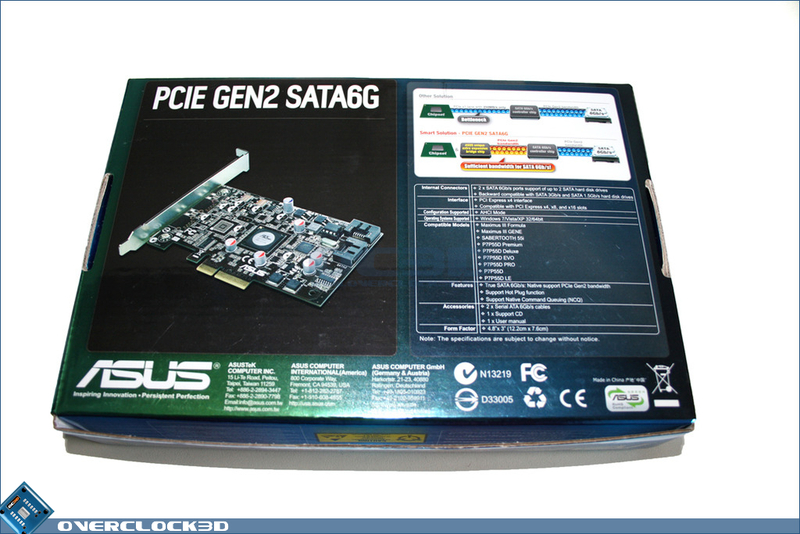 Highlighted to the bottom right of the box front is the claim of up to 2x the bandwidth but behind that is a shot of the SATA 6G chip found on the P55 Evo motherboard we previewed here. 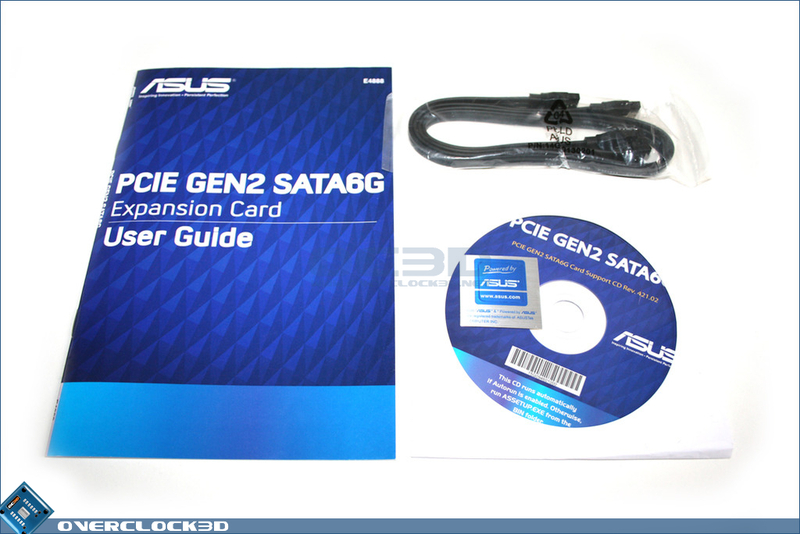 Sadly the retail version does not come with this feature and hence the release of this card. 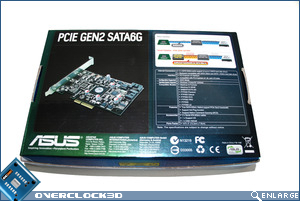 Flipping the box over we see a shot of the card along with a much more in-depth specification readout detailing everything you will need to know about the card. 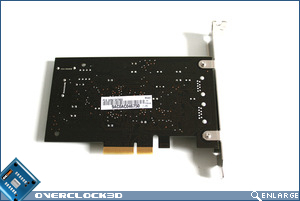 Also to the rear of the box is a basic diagram showing the benefits this card offers over previous 6G offerings. 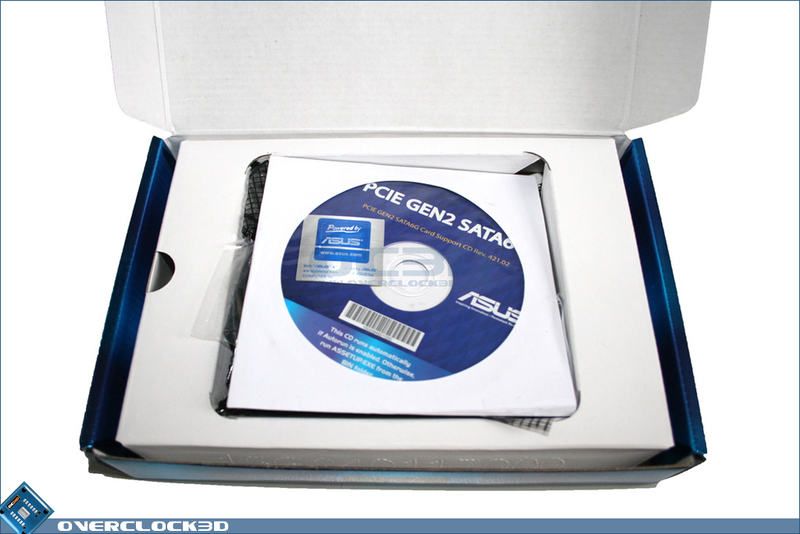 Opening the box up, we are greeted by the bulk of the accessories first, the driver CD, 2x 6G SATA cables and a small instruction and installation booklet. While I welcome the inclusion of an instruction booklet with even the most basic of components, I do feel that this product guide is little more than a token gesture as there was very little information regarding the product contained therein. Not that you need a guide of biblical proportions but I would have liked to have seen some examples of the performance expected so I can assess whether or not the card is working as it should. That said we would then be out of business so I guess it's no bad thing in hindsight! 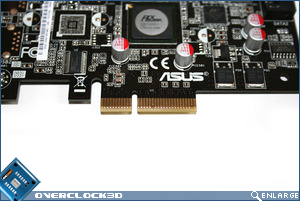 The card itself is relatively compact, perhaps of a similar size to the SupremeFX sound card included with some premium Asus motherboards. 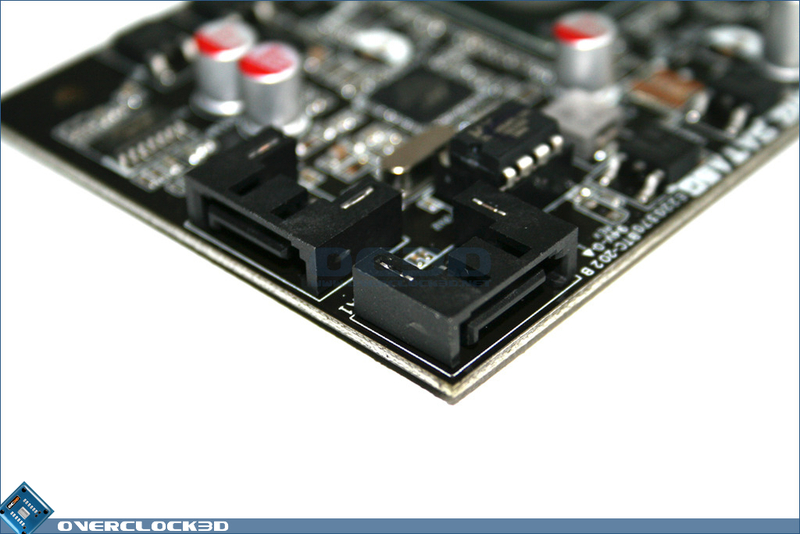 The PCB has spacing for the USB 3.0 NEC controller and empty slots heading toward the blanked off I/O backplate but no such ports were included which is a shame, especially for those hoping to use external devices with this card. 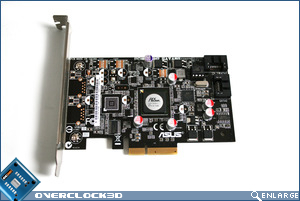 There were no heat sinks present on the card either so I expect the card to produce minimal heat. 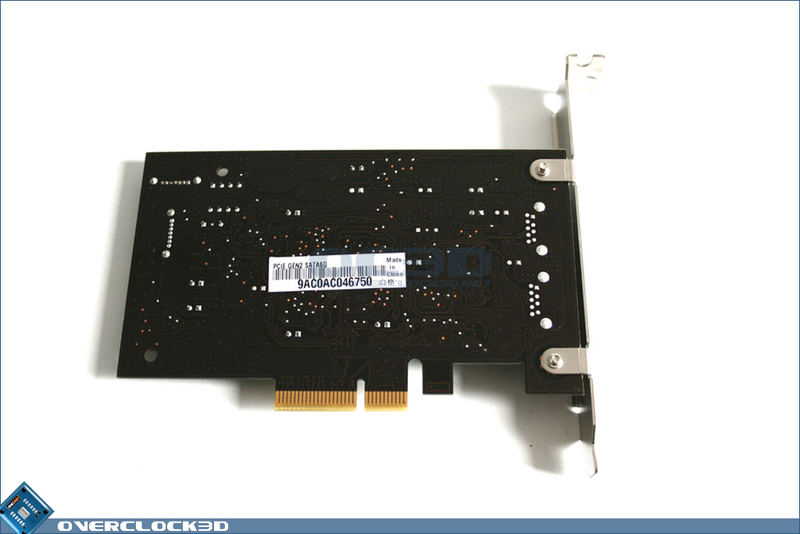 The rear of the card showed nothing of interest other than solder points for the missing SATA ports. 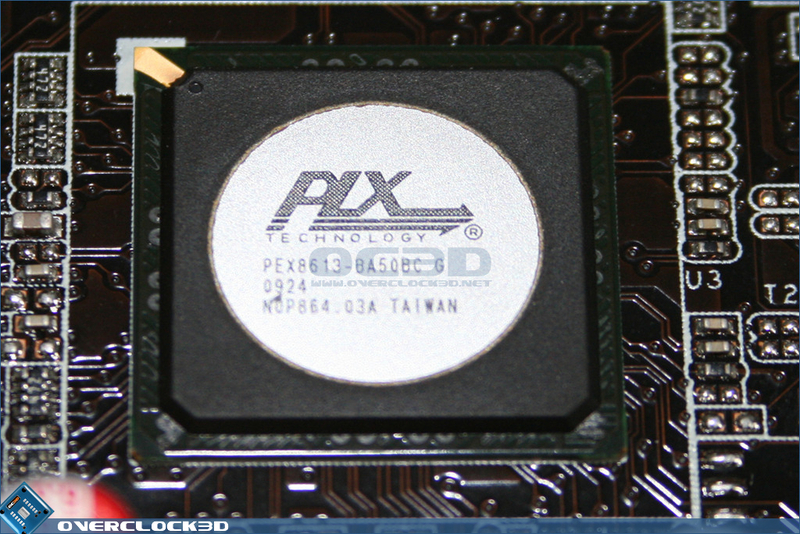 Here we see the guts of the card: The PCIe PLX bridging chip (PEX8613) and the Marvel 6G controller (88SE9123). 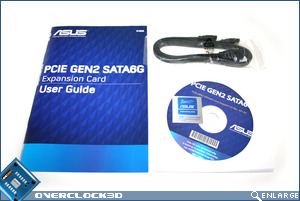 As stated previously, Asus deemed neither chip to produce any significant heat hence the omission of heat sinks. 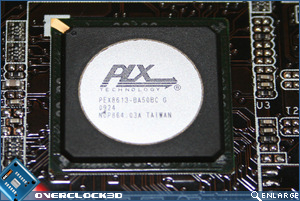 Other 6G cards did not have the bridging chip and as such were limited to250MB/s thanks to the PCIe x1 bandwidth despite having the potential to reach much higher. 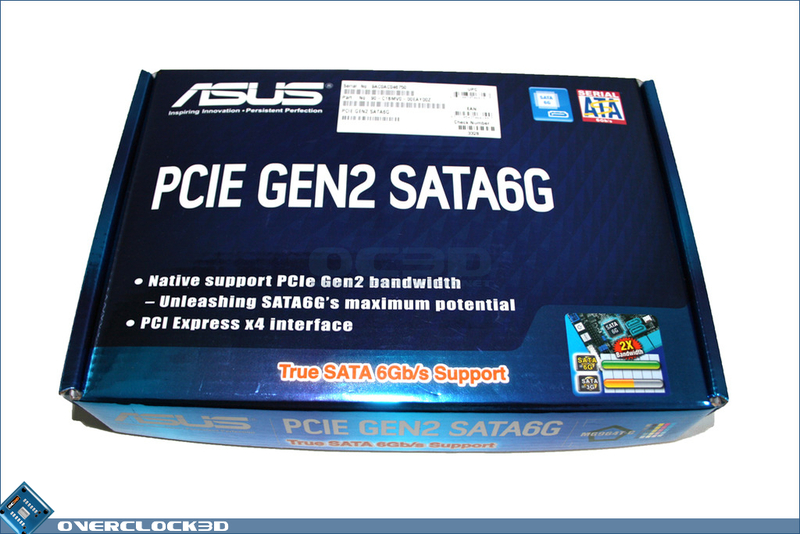 Thanks to the PCIe bridging chip which connects to the P55 chipset through the x4 PCIe port (supporting 10GB/s), the Asus card can now hit the speeds advertised (optimal - 500MB/s) thanks to the additional bandwidth. 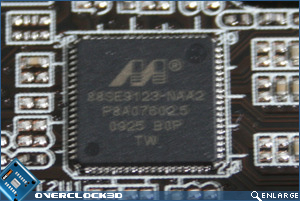 The inherent problems with the Marvel controller have been removed, literally thanks to the omission of an on-board PATA controller on the card which conflicted with the SATA 6G controller. 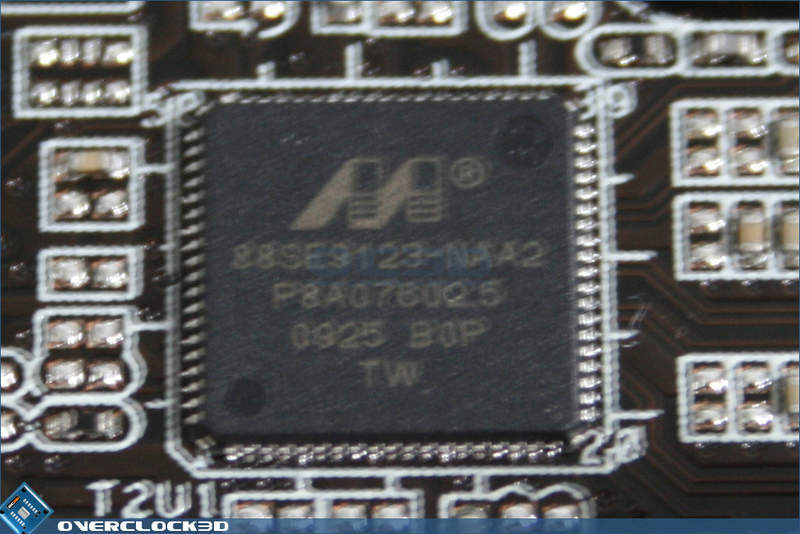 The same 88SE9123 controller chip is here so it appears the problem is still present but not on this card as it does not support PATA devices. 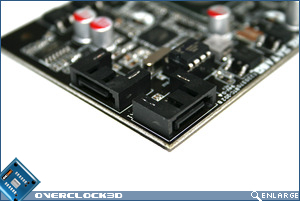 The interface of the card relies on your motherboard providing at least one x4 PCIe port. 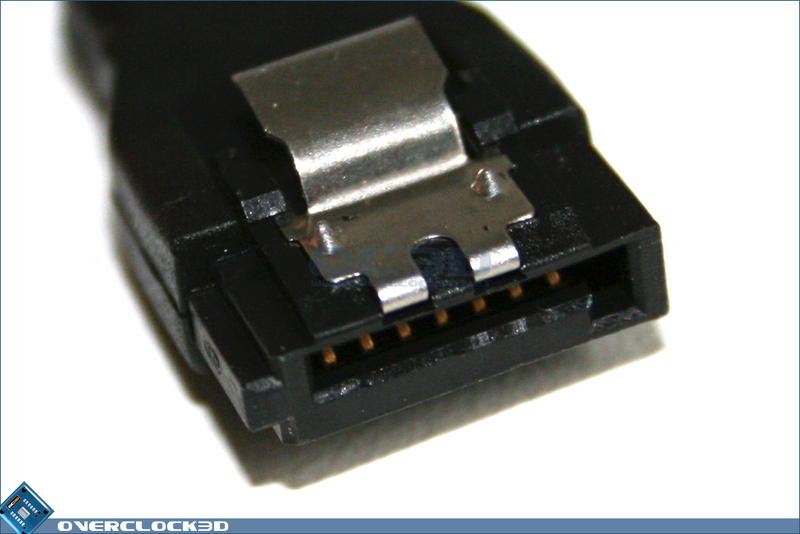 Do not fear though because if your motherboard does not have this port or you don't have one spare then you can use a x8 or even a x16. 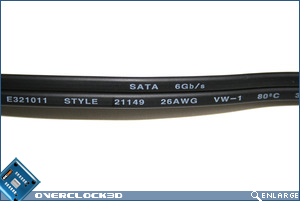 The 2xSATA 6G ports look identical to standard SATA ports and are positioned perpendicular to one another on the leading edge toward the rear of the card for easy access. 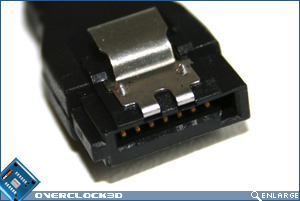 The positioning is such that once the cables are attached they should not clash with expansion cards in adjacent ports. 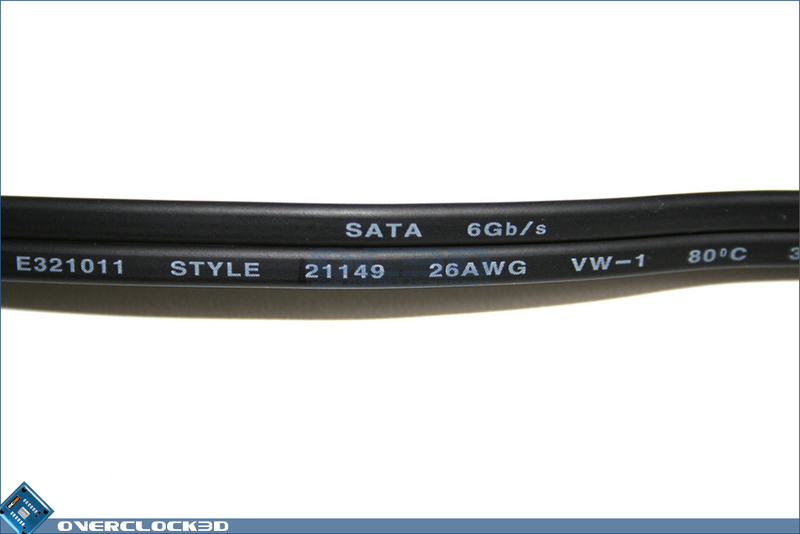 There are two SATA cables which are labelled specifically as 6G and one noteworthy point is that Asus have finally made use of a latching system to ensure the cable does not come lose once attached, something I dearly wish they would use with there range of motherboards.